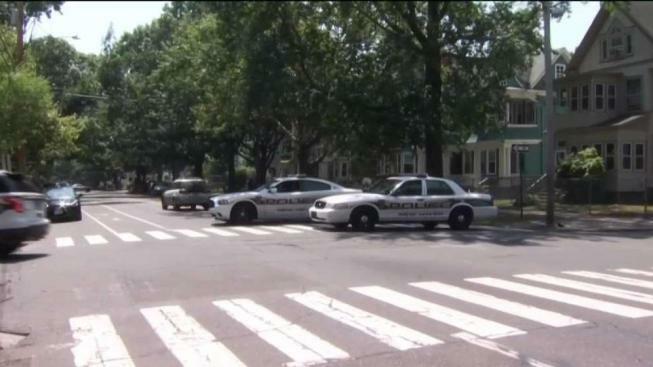 Two young children were hit by a car while crossing Howard Avenue in New Haven on Monday morning. Two children were rushed to the hospital after getting hit by a car in New Haven on Monday morning. First responders were called to Howard Avenue at First Street around 11:37 a.m. after getting a report of a crash involving a pedestrian and a vehicle. According to police, day care workers tried to stop traffic to allow children in their care to cross Howard Avenue. The children were crossing the street in what a witness said was a human chain. While crossing, a 3-year-old boy from Bridgeport and a 2-year-old boy from Milford were hit and run over by a passing car. The children were rushed by ambulance to Yale-New Haven Children's Hospital for treatment of non-life-threatening injuries. The children are both in stable condition and have remained conscious and alert, officials said. The 28-year-old New Haven woman driving the car stopped and has cooperated with the investigation, police said. She was issued an infraction for failing to grant the right of way to a pedestrian. Officers said the case could be reopened if the children's conditions change.